FAIRFIELD Villa crashed out of the Les James Challenge Cup after letting a 2-0 lead slip to lose 3-2 to lower-ranked AFC Solihull. After a goalless first 45 minutes, second half strikes from Alfie Bloomer and Connor Collins put Fairfield on the brink of a place in the quarter-finals. However, Solihull had other ideas. Andy Matthews headed home to reduce the arrears before Jon Hamer capitalised on a poor back-pass to level the score. Pete Jenvey came close to putting Fairfield ahead in the dying stages but his effort cannoned off the crossbar, before Solihull immediately went up the other end to score the winner as Hamer fired home. Fairfield vice-chairman Paul Oakes said: “We are carrying a big squad and the game allowed us to rotate things a little but the team on the pitch was more than good enough to win the game. “At 2-0 up it looked as though we were safely progressing into the next round but once Solihull pulled one back we just hit the self-destruct button. 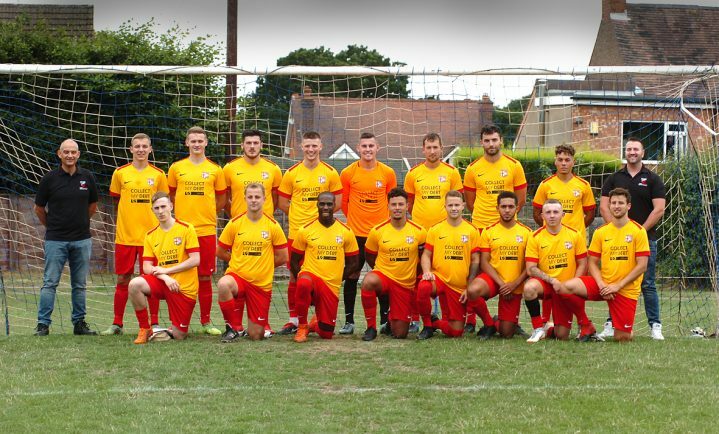 “What was more frustrating is that one of the favourites, GNP Sports, were knocked out on penalties by Knowle which has opened the competition right up. Fairfield are once again away from league action on Saturday when they welcome Coton Green to the Recreation Ground for a Presidents Cup tie. Only Kyle Xavier (broken wrist) is missing and Fairfield have been boosted by the return of the left-sided Lewis Phillips from Stourport Swifts. “Having Lewis back is a bonus for us going into the game against Coton,” said Oakes. “Coton are a really good outfit and are set up strongly under their manager Rob Masefield. Meanwhile, midfielder Max Crisp has returned to Alcester Town. Daniel Pitt could also be on the move after expressing a desire to more to Knowle.